If you are one of our customers that uses our Advanced Hosting Platform, you’ll be pleased to know Register4Less has now added PHP version 7.1. PHP is one of the most popular programming languages used on the web today. Sites like Facebook, WordPress, Twitter and Wikipedia all run using PHP. The cPanel default (and native) version of PHP is 5.6. Switching to version 7.1 should make your website load more quickly, thanks to the optimizations that have been made in 7.1. Log in on http://register4less.com for your domain that’s using the advanced hosting. In the Software section, look for “Select PHP Version” and click the link or icon. 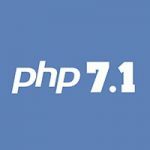 You may want to note the current version you are using in case you need to revert if your website has problems with PHP 7.1. It’s probably 5.6 though. From the drop down menu, select 7.1 and click the Set as Current button. Click on “Use Defaults” at the bottom of the page to use defaults PHP modules. You’ll want to test your site to make sure everything is functioning correctly. For WordPress sites, some plugins are not yet compatible with PHPp 7.1, so you may want to try 7.0 if things are not working correctly, or revert back to the version you took note of earlier.